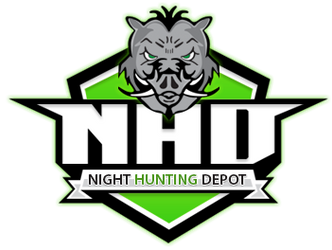 Successfully target hogs, coyotes, fox, bobcat, raccoons and varmints with the Wicked Lights W403iC Hog and Predator Hunting Scan Light. The W403ic's Full Intensity Control Tail Cap out classes the competition with true full-range control of light intensity coupled with selectable "ON/OFF" to any light intensity level the user desires - An industry first-in-class ability! 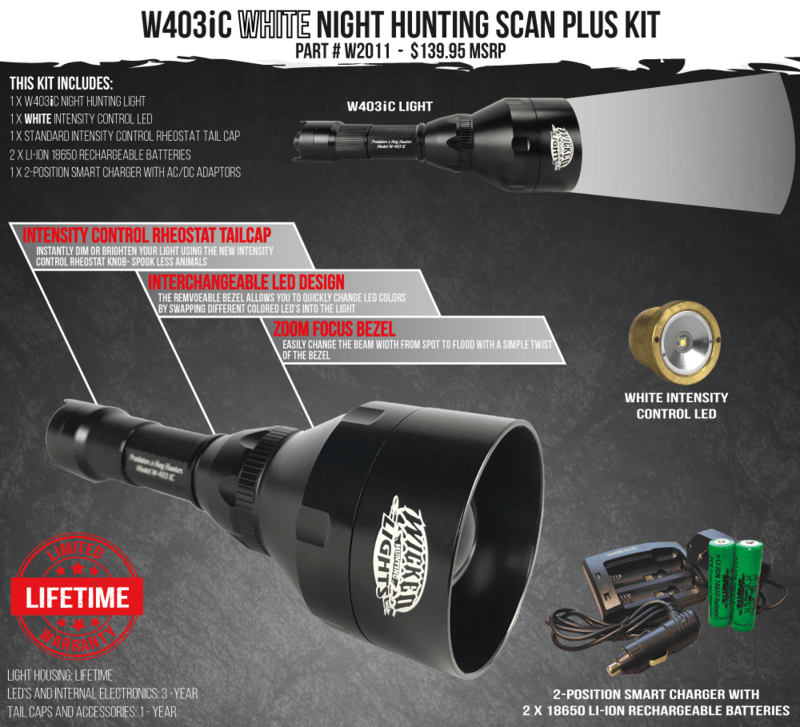 The W403iC comes with an Intensity Control LED that features a 3-year warranty. Warranty: Limited Lifetime Warranty on W403iC light housing. LED assembly three years. Batteries and charger one year. See manual for details and limitations.